Today I will introduce the volume layer tools in the Sleuth Kit (TSK). There are three tools in this category: mmstat, mmls and mmcat. As you can see, all three tools start with prefix “mm-“, which stands for “media management”. 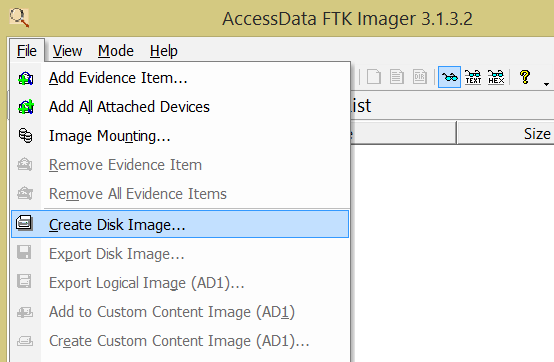 First choose “Create Disk Image…” in FTK’s “File” menu. Then select “Physical Drive” as source evidence type. 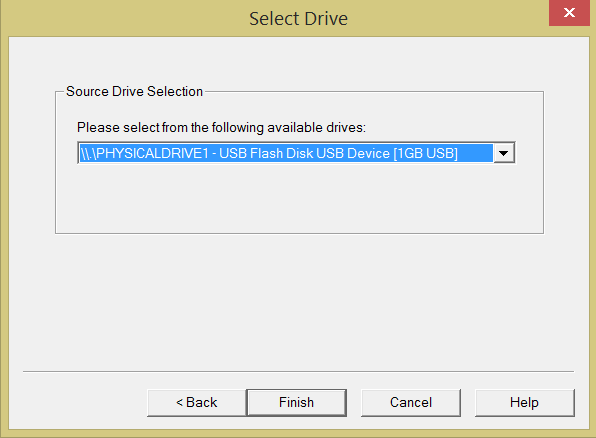 In the “Select Drive” dialog box, select the USB drive. It then asks you the name of the image file to be created. Here I named it as “physicalUSBraw.001”. Then the FTK Imager started the creation of a bit-to-bit image of the flash drive. It took several minutes for this 1GB drive. After image file was created, it was then copied to the Linux system. The three volume layer tools can then be used to analyze this simple image. So here mmstat tells us the flash drive uses DOS partition system. This is a widely used partition used in i386 / x86 machines. The beginning sector of this partition system is Master Boot Record (MBR). MBR stores information of all partitions. To read information in MBR, we have to use the next tool: mmls. Basically, they are very similar to those in mmstat. Now let us see what mmls can find in the disk image of flash drive. As illustrated above, mmls displayed detailed partition table. Obtained information includes sector size in bytes, starting and ending sectors of each partition (including the unallocated space), and type of each partition. In this example, the first sector of this drive is the primary table, i.e., the MBR as described before. The only allocated partition in this drive starts in sector offset 512. This is a very important number, which can be used in later analysis. The file system of this partition is FAT16. Knowing all partitions of the disk via mmls, we can use other tools in TSK to perform further analysis with the information given here. Let us dissect the command. The mmcat is the command followed by several arguments. The physicalUSBraw.001 is the image containing the target partition. Since there are multiple partitions, either allocated or unallocated, in a disk, we have to specify which one is the target. The mmcat uses partition number to do this. If you look at the partition table showed in previous example displayed by mmls, you can see the partition number in the beginning of each row in the partition table. So here we specify 2 as the partition number argument because it is the partition number of the partition we intend to copy. The > PartitionNo2.001 in the end is used to redirect output stream to a file instead of simply displaying all content of the partition in console. After executing this command, mmcat would generate an image of the FAT16 partition alone called “PartitionNo2.001”. There are four arguments in this command. Argument if refers to the input file name while of refers to output. bs stands for “block size” in bytes. Since the data given by mmls is displayed as sectors, we use one sector as one block, which consists of 512 bytes. The last argument skip is used to designate where the copying process begin. By looking at the table given by mmls command, we know that the FAT16 partition starts at sector 512. Thus, we use skip=512 to ask dd to copy all data starting from sector 512 till the end of the image. Note the number 512 is used here instead of 511. The reason is Logical Block Address (LBA) starts at 0. The partition starts at sector 512, meaning the addresses of all previous sectors are 0-511, which is 512 in total to skip. The identical SHA256 values prove that the two images are the same. Basically this is how these tools are used. But they can reveal more information of a disk if combined with some other tools. I will introduce that later.